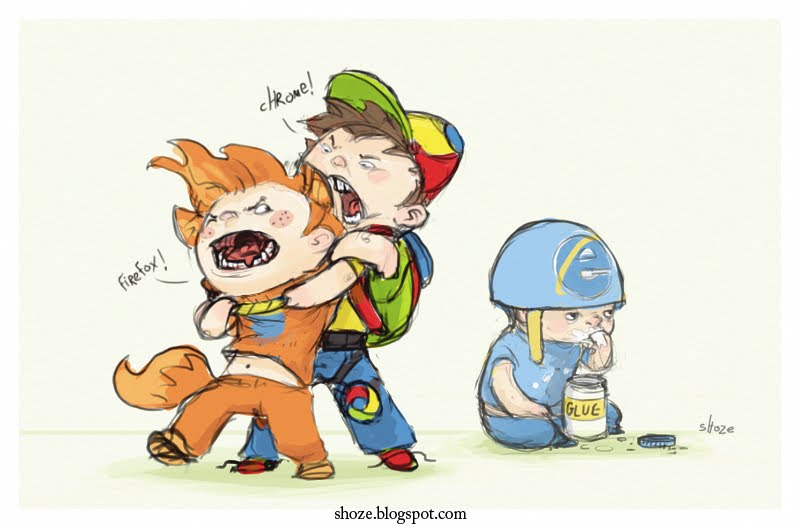 Here is a great little comic showing the battle between browsers – Firefox, Chrome, and Internet Explorer. Click the image to see it larger. As many of you know, Internet Explorer is losing market-share more and more as time goes on. Chrome is taking market share from both browsers, but Firefox is hanging in there. I’m a Google Chrome user. There, I admitted it! So when I found out (late) that Firefox 4.0 had been out, I decided to go ahead and upgrade my Mozilla Firefox. All was well, except for some incompatible addons, but no biggie — as I said, I am a Google Chrome user. The new version looked okay…except for one thing. The option to save your tabs when closing / exiting Firefox was missing! This was a feature I loved to use in Firefox so it was bothersome to see it gone. The message box / dialog box that normally pops up when you attempt to close Firefox no longer was there. If I had used the beta or alpha versions of Firefox 4.0, then I’d have been aware of this ahead of time. D’oh! Done. Easy, right? It *should* be available more easily than this, but for whatever reason was not. That said, it WILL be taken care of by the Firefox development team so do not worry! They listen to their feedback and are already on top of it. New GPU acceleration that will be available for Google Chrome 7 helps the browser become 60 times faster than Chrome 6, as reported by Google. This will assist in not only 2D graphics, but 3D graphics as well. An example video of Google Chrome 7 can be seen below. While it doesn’t look particularly impressive, it certainly is assisting in helping the aquarium demo run at its maximum potential in FPS (frames per second). A stable build of Google Chrome will be available this fall, however the developer’s build is already available. Hackers exploit many different types of vulnerabilities in attempts to attack other users. Many of these attacks happen to be browser based since it is easy to get people to go to web pages. Of these browser attacks, many use Adobe Flash vulnerabilities instead of browser-specific vulnerabilities. A plugin for Firefox, called Blitzableiter, was created in an attempt to prevent Flash-related hacking attempts. Basically, the plugin reads the SWF file and attempts to sanitize the code, parsing each piece, then recreates a safe SWF for your browser to load instead. Very cool!